Node.js provides the non-blocking IO system that lets you process numerous requests concurrently. The system makes simultaneous request handling much better than in other languages like Ruby or Python. Incoming requests are queued up and executed sequentially in a fast manner. In effect your app will take up much less system RAM, achieve high scalability levels and in a result will be perform faster. Node.js is still an immature environment in many aspects and it is likely that many programmers won’t find it useful in their projects yet. 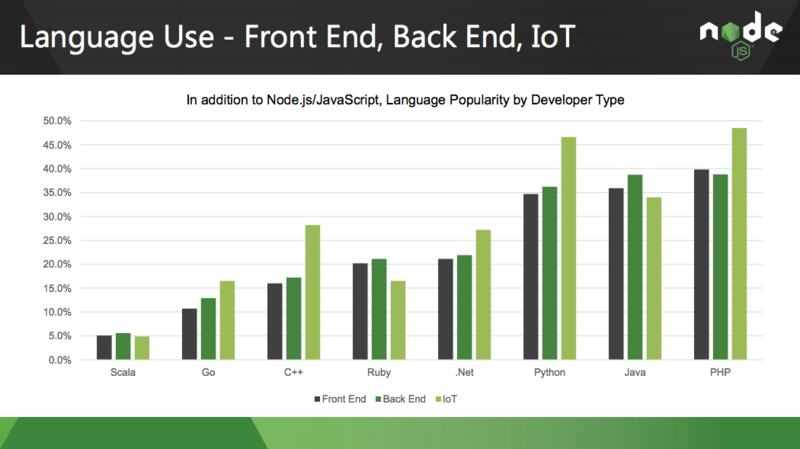 However, there are many cases in which Node.js might prove to be much more efficient. Numerous companies have trusted Node.js in production of their applications and they’ve already experienced positive results. It is definitely worth following their example and trying to identify which of the problems you have can be solved with Node.js. Effects might outgrow your expectations.